The Isle of Islay is a small island situated off the western coast of Scotland. Only accessible by ferry or a short flight from Glasgow airport, Islay is often known as the Whisky Isle because it is home to no less than eight single malt Scotch whisky distilleries that are famed for their use of the local natural resource—peat. All baring one of the eight distilleries on the island Bunnahabhain, produce “peated" whisky with three distilleries occupying the small, south-eastern edge of the isle. Known as the Kildalton distilleries, Laphroaig, Lagavulin and Ardbeg lie along a 2-mile stretch of a road leading up from Port Ellen, one of the island’s main docks. 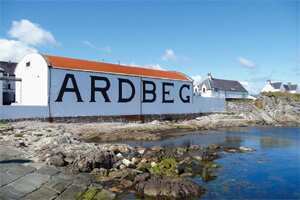 The demand for Ardbeg was amplified by the closure of the distillery between 1982 and 1996, meaning pre-closure whisky is in high demand and incredibly collectable. Owned by Glenmorangie, which is, in turn, owned by (Louis Vuitton) Moet Hennessy, the company has focused on creating a boutique peated whisky brand with the only current regular age statement release being an excellent 10-year-old. 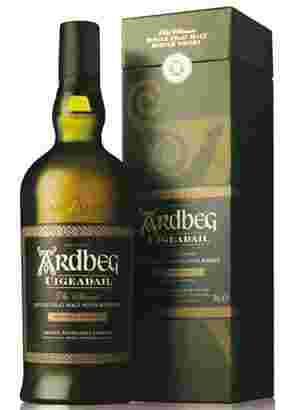 Other expressions in the range include the lightly peated Blasda (good for those just discovering smoky whisky), and the expressions named Uigeadail and Corryvreckan, which contain Ardbeg matured in European oak casks, leading to an explosion of rich smoke flavours. 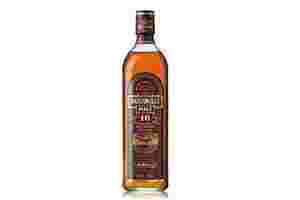 Not for everyone, peated whisky is strong and full in flavour, but certainly worth a try. How nice it is then to see a distillery striving to maintain much of the traditional elements of the craft that first helped the industry flourish way back in 1823, when the Excise Act was passed and the making of whisky in Scotland became legal. Until that point, despite a plethora of small distilleries dotted across the countryside, it was illegal to produce whisky in Scotland. 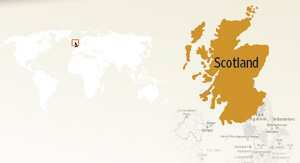 As the sector grew, these individual skills became outsourced to specialist companies, and today, the majority of distilleries will use one of a selection of large cooperages in Scotland for their barrels, employ the services of a major coppersmith company to maintain their equipment, and will purchase their malted barley from a large factory known as a maltings. The much smaller, boutique, sister distillery to Glenfiddich distillery, the Balvenie handcrafts 5.6 million litres a year of spirit for its range of single malt Scotch whisky, which includes the DoubleWood 12 years old, matured in American oak whisky barrels with additional maturation in European oak sherry barrels; Signature 12 years old, matured in three different styles of oak barrels; and age statement releases ranging from 17 years old up to 30 and 40 years old. 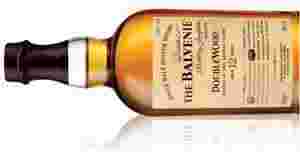 Always an assured bet when travelling through duty-free retail zones, the Balvenie provides a whisky that is thoughtfully made with tradition at its heart. 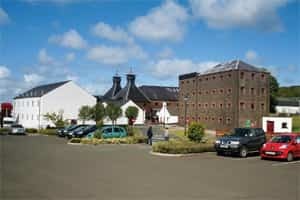 The largest distillery in Ireland is the Midleton distillery in County Cork. With an enormous output of more than 30 million litres of pure alcohol a year, the majority of whisky produced at this giant distillery finds its way into the likes of the Jameson, Redbreast and Green Sport whisky brands. Bushmills adheres to a practice that sets Irish whisky apart from Scotch: triple distillation. 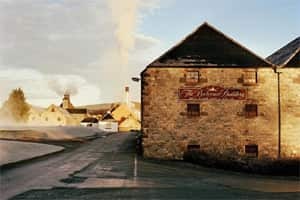 Now owned by Diageo, Bushmills has seen large investment over the past few years and is helping to regenerate interest in Irish whisky, but it still sits behind Jameson and Tullamore Dew in the sales rankings, despite being the only single malt. The distillery has a hugely popular visitor centre that attracts more than 100,000 tourists a year to the beautiful spot just under two miles from the northerly aspects of the Northern Irish coastline. 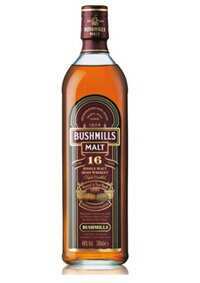 The core range of Bushmills’ single malts includes a 10-year-old, the 16-year-old matured for a period in barrels once containing port, and a 21-year-old matured partially in Madeira casks. The brand also lends its name to two blended whiskies, Black Bush and Bushmills Original, both of which contain whiskies from other Ireland-based distilleries. Four Roses is made using two unique formulas of cereal, which are, in turn, influenced by five different types of yeast. The result is a distillery that can make up to 10 different styles of spirits and can combine these to create unique and distinct products such as their Small Batch bottlings. 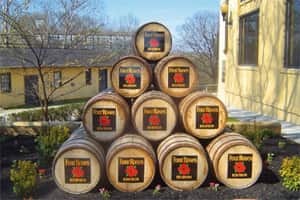 Little known, but hugely respected by both whiskey and cocktail experts, Four Roses is a bourbon that should be tried whenever you see it, as it will open your eyes to the quality and flavours available from this category. Suntory was co-founded by Masataka Taketsuru and his business partner Shinjiro Torii in 1924. An organic chemist who spent some time studying in Scotland, part of Taketsuru’s training involved working at a number of Scotch whisky distilleries. On his return to Japan in 1920, he and wineimporter friend Torii established the Yamazaki distillery. 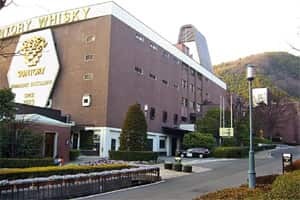 Sadly, the two fell out and Taketsuru left to build his own distillery, Yoichi, in 1934, the company now known as Nikka. The increased competition between the two companies has served a vital purpose in pushing the development of Japanese whisky forward and positioning it in a place where it can legitimately challenge the quality of the single malt whisky made in Scotland. Partially matured in casks that had previously held plum liqueur, the result is a terrific blend packed with flavour and comes in core age statements of 12-year-old, 17-year-old, 21-year-old and 30-year-old. Japanese whisky is certainly one to keep an eye on, and Suntory’s Yamazaki provides a benchmark of quality in this arena.